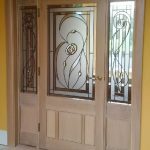 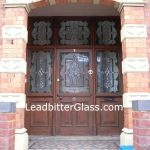 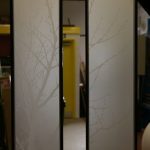 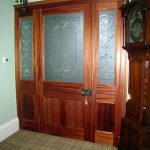 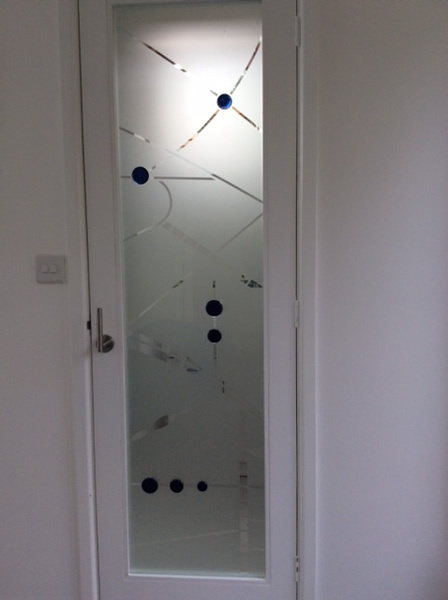 In 2014 we created this bespoke door glass design for a client in Stroud. 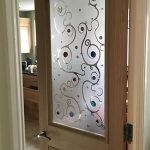 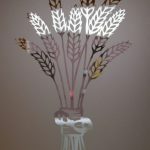 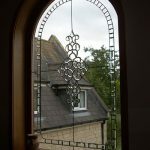 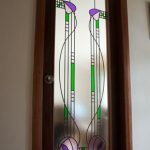 The client originally selected one of our modern etched glass designs- pattern 1298 but she requested colour to be added to the circles of the design. 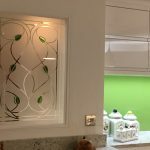 We told the client that we could create some fused glass circles using any fused glass colour she wanted and we created the seven tiles in different sizes. 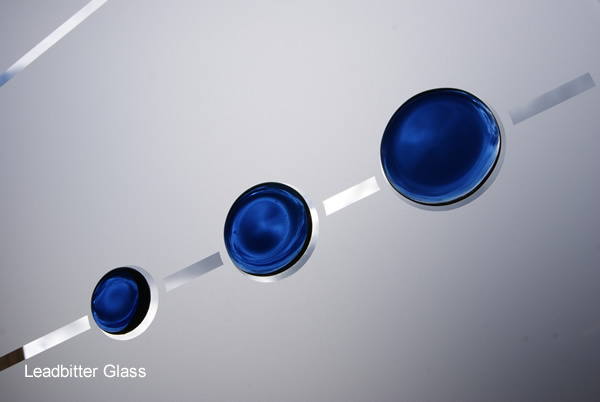 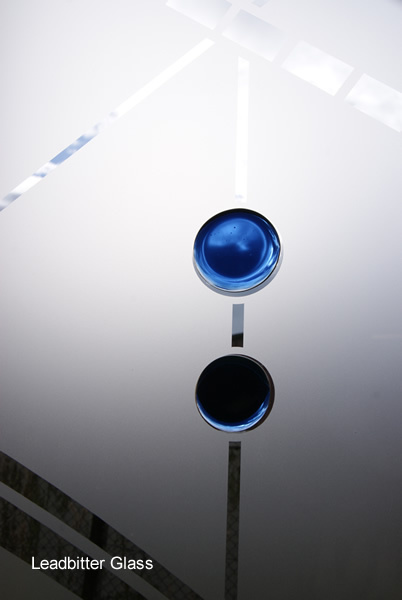 The blue used for the glass tiles was our Navy Blue from our fused glass colours gallery. 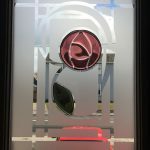 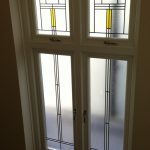 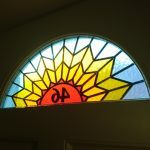 The background of the glass was sandblasted and coated with our sandblast protection and all of the lines were left clear.